The waters of Greece are a boater’s paradise. 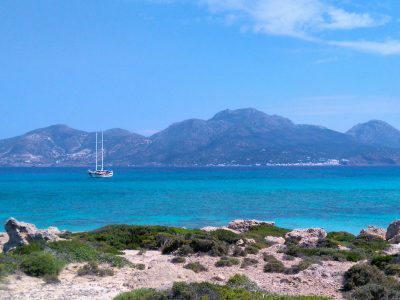 Both the Ionian Sea and the Aegean are among the world’s prime yachting regions. That’s hardly a surprise: the country’s long and convoluted coastline and its countless islands are extraordinarily diverse, offering a huge range of possibilities, from tranquil coves to pearly-white beaches, from sleepy fishing villages to bustling ports, from authentic traditional marine lifestyles to glamorous resorts, all surrounded by the deep blue waters of the Mediterranean. 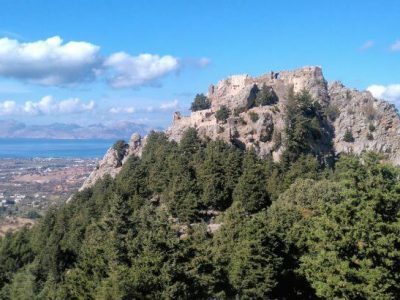 That diversity is matched by the vast array of cultural, archaeological and historical sites found everywhere, ranging from mysterious prehistoric palaces via great Greek and Roman temples, great medieval castles and wonderfully painted Byzantine monasteries to the picturesque island settlements of today. If you are looking for a holiday that combines perfect relaxation with exciting and stimulating exploration, designed to match your own pace and interests, a gulet charter in Greece is just what you’ve been looking for. In contrast to our scheduled gulet tours in Greece, which offer those features as part of fixed and prearranged itineraries, a Greek gulet charter is your very own personal dream holiday, entirely determined by your choices and desires. 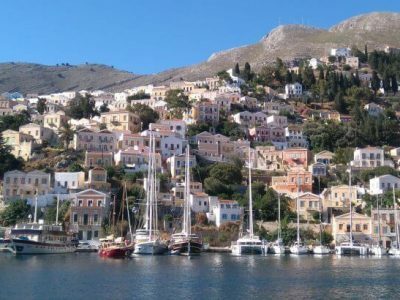 You can explore and enjoy the beauties of the Greek islands at your own pace, travelling on a stylish boat and attended to by an expert crew. A private gulet charter in Greece is an unforgettable experience. Its constantly changing backdrop are the wonderful land- and seascapes of the region, each island has its own distinctive and unmistakable character to be discovered and relished, and every day is different, maybe packed with adventure and exploration, or given over to leisure, swimming in the clear waters of the Aegean, sitting back on the gulet’s deck, or strolling around a lovely port town. All those options are open while you are cruising in style on a beautifully hand-crafted and elegant vessel. 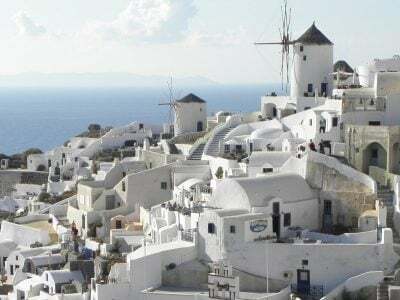 A central aspect of cruising in Greece are the vast cultural riches found ashore, including a host of archaeological sites, superb museums, tranquil monasteries and local architectural traditions. Like our scheduled tours, are charters are accompanied by our designated archaeological experts and local guides, who excel in sharing their knowledge with our guests. Another highlight of a gulet cruise in Greece is its gastronomy. While our on-board chefs produce a dazzling array of dishes from fresh ingredients in the on-board kitchen, you can also eat ashore, where our guides are happy to introduce you to the local cuisine in a range of tavernas and restaurants, carefully selected for the quality of their offerings. We can arrange gulet charters in Greece in a variety of areas, from the Dodecanese islands in the eastern Aegean via the Cyclades in its centre, to the Saronic Gulf near Athens and the Ionian Islands in the Adriatic. Within each of those areas, there is a choice of islands and ports to be used and a range of historical sites to be explored – your itinerary can be packed with activity and cultural experience, or light and leisurely, focused on relaxation, or a mix of both – just as you wish. While there a great number of boats is available for charters in Greek waters, we only use vessels that meet our exacting standards in terms of quality, maintenance and service. Most of the boats we use are traditional wooden gulets, built in Turkey on the basis of age-old traditional experience, all carry modern navigation equipment. Depending on area and season, we can offer boats to cater for groups of varying sizes, with options for twin or double cabins, as well as master cabins on certain vessels. A great cruise relies on having a great crew. All boats we use are operated by captains of excellent experience, supported by highly trained crews and superb on-board chefs. Between them and our tour experts, you will enjoy the best service possible. 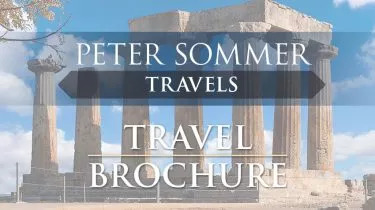 What makes a Peter Sommer Travels’ charter in Greece a unique experience is the great care and passion that goes into planning it. Our tour experts and local guides are veritable connoisseurs of the region and its history, having spent years studying its antiquities both in the field and in academic libraries. They are eager to share their expertise and their love for the country with you, ranging from the archaeology itself via its chequered history to its living traditions, gastronomy, and more. If what you want is the perfect experience of exploring Greece, its seas, shores and islands, we invite you to rely on our expertise to design your very own Greek gulet charter, either as a set itinerary, or as a more open outline. Whatever your wishes and interests, from in-depth exploration to a more leisurely voyage, it is our aim to cater for them on a cruise designed in close consultation with you. Each expert-led private charter is tailor-made specifically for you, and is created from a great variety of options and add-ons. The price of such a charter can therefore vary greatly depending on your precise desires and requirements. As such, the following is only a general guide, but it will give you some idea of the price range involved. In 2018, the price for a 1-week cruise on one of our scheduled expert-led gulet tours in Greece is £2,775 per person. Generally speaking the larger the group the less expensive a charter becomes per person. The cost for a party of eight people or more is normally slightly less than our scheduled tour prices. If you have a party of 12 or more you’ll start to see substantial discounts on our scheduled tour prices per person. 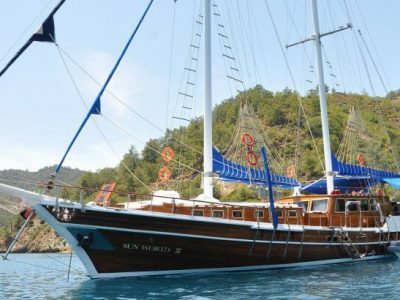 This price includes: full board accommodation on the gulet, the services of a specialist guide and a local guide who will accompany you throughout the trip, entrance fees, site transfers, airport transfers, gratuities on land, harbour fees, crew services, fuel, all mineral water, teas and coffees, wine with dinner. This price doesn’t include: flights, airport taxes, visas, travel insurance and on-board gratuities (we recommend £8 per guest per day). There is a reasonably priced bar on board. Gulet charters in Greece are available between April and late October. During the high season (July and August), availability is limited and prices are higher. Whenever you may wish to travel, it is best to contact us soon, so we can start working on your very own Greek cruise. It is our pleasure to talk discuss options and itineraries with you, to make sure we can arrange the tour just as you want it. If you are dreaming of a gulet charter in Greece, don’t hesitate to contact us. Average rating 5 out of 5 from 372 reviews for Gulet Charters in Greece, according to AITO reviews. We thoroughly enjoyed our Dodecanese cruise. Our creature comforts were considered at all times and it was a wonderful mix of visits to amazing sights and pure relaxation. Our guides couldn't have been more professional and their knowledge of their chosen fields ensured that each visit was enjoyable as well as educational. We couldn't recommend it more highly and hope to return a take another tour.